The cleaning of railcars today is no small task. 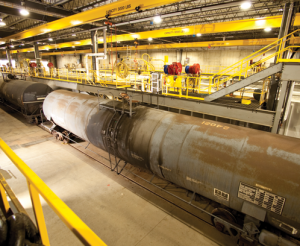 At Midwest Railcar Repair, we have over 30,000 square feet of climate controlled space specifically designed to manage your cleaning tasks, regardless of size. With a blend of cutting edge technology and industry proven processes, Midwest Railcar Repair takes quality cleaning to the highest level. 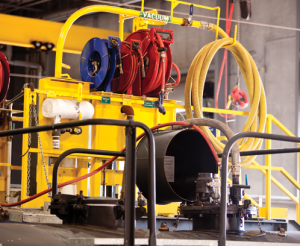 From hazardous tank cars to food grade hauling pressure differentials, our 12 cleaning stations are positioned to keep you on track.